9. DJ Weirdo & DJ Delirium - Open Your Eyez!!! 11. DJ Alex - Say What? 1. Knightvision - Who Is It? 3. The Prophet - House Time ! 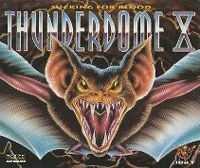 Thunderdome III - The Nightmare Is Back!